The Obama administration has just announced it will be doubling fuel efficiency standards to 54.5 miles per gallon by 2025, in an attempt to reduce U.S. dependency on foreign oil and tailpipe emissions. The proposal should be finalized by summer after a 60-day period of public comment. The goal of the administration is to give the auto industry 5 more years to construct fuel-saving technologies and products before standards and rules begin to take effect in 2017. 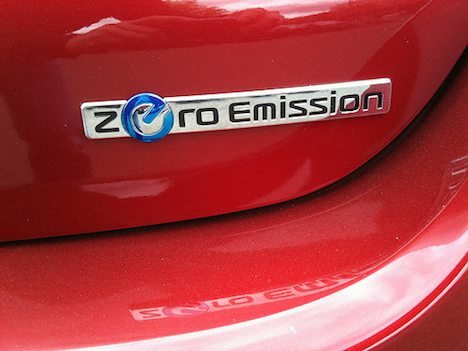 The current standard for automakers is to raise efficiency from 27 mpg to 35.4 mpg by 2016. In 2017, a 5 percent annual improvement for cars and 3.5 to 5 percent for SUVs, pickups and vans would go into effect. Thirteen major automakers have signed onto the deal. All this talk about fuel efficiency and climate change has naturally ruffled the feathers of the Republican-led House of Representatives. Republican members of the Oversight Committee are criticizing Obama’s green agenda, challenging the administration over whether or not they have the right to dictate gas mileage and fuel emissions under federal law. It’s no secret that fuel efficiency regulations need to increase in order to make any sort of dent in emissions, but with these dates set far into the future and Obama’s re-election in question, there’s no telling whether or not they will stand strong or fall off the priority list. Does 54.5 MPG sound reasonable to you, or do you think it’s an overly ambitious number in a short period of time? Wouldnt have much to worry about if they legalized hemp and used more bio fuels. Why Obama admin not talking about hemp fuels? Obama dont care about american soil. He only cares about O-BOMBING someone else for OIL..